At the core of the Remix OS for PC is our custom engineered version of Android Lollipop – Remix OS 2.0. Our state of the art operating system is the cornerstone of what we do. With its multitude of productivity oriented features combined with over 1.6 million apps, Remix OS seamlessly merges functionality, ease of use, and beauty in amazing ways to give you an unforgettable Android experience. The Next Evolution of Android PC. Built on the Android-x86 project, Remix OS for PC unlocks our next phase of development for Remix OS and introduces a whole new range of versatility to how and where you can Remix. What you can do on your device is invariably the most important part of any computing experience. By revitalizing your seasoned hardware with Remix OS for PC, breathe new life into it with over 1.6 million Android apps. Whether it’s for work at school or in the office, watching a TV show or playing your favorite games, Android’s rich app ecosystem always has something for exactly what you need and want to do. With Remix OS for PC, you can also conveniently house Remix OS on a USB stick. That means you can literally bring your Remix experience wherever you go. With most computers in the world powered by x86 chipsets, you should have no trouble finding the right hardware to run Remix OS. Forget cost down, introducing cost free. With that in mind, Remix OS for PC is free to download, free to install, and free to use. Is there anything else we missed? Oh that’s right, the updates are free as well. This is a beta version intended for all early adopters who are excited to experience the latest in Android’s evolution. Android was designed for touchscreens and as there isn’t a touchscreen on most PCs, we want you to be aware the experience with certain apps may be different on your PC than on a mobile device. NOTE: Currently, installation tool only supports Windows 7, Windows 8 or Windows 10, with a minimum capacity of 8GB. Users of other operating systems, please install on USB flash drive. 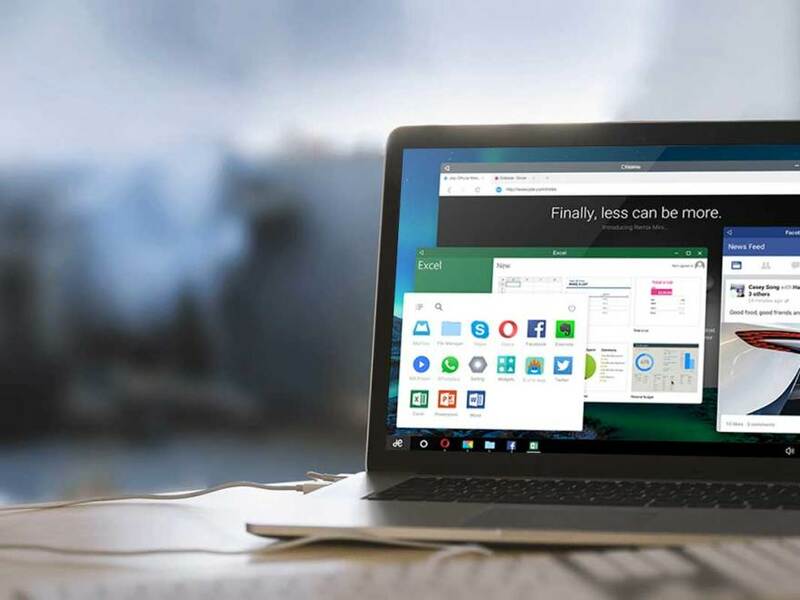 Download the Remix OS for PC package, which contains the Remix OS for PC ROM & Installation Tool. Open the Remix OS Installation Tool and follow the instructions to install Remix OS for PC on your hard disk. NOTE: A USB 3.0 flash drive, with a minimum capacity of 8GB and a recommended writing speed of 20MB/s. All data on your USB flash drive will be erased. Please backup the data in your USB flash drive before you start the installation. Insert USB flash drive into your PC. Open the Remix OS Installation Tool and follow the instructions to install Remix OS for PC on your USB flash drive. NOTE for UEFI boot: please ensure that Secure Boot is disabled. Select “USB Storage Device” under boot option.